How I saved my blonde and destroyed my regrowth..
Last week I came across a vital piece of information that I thought I would share. 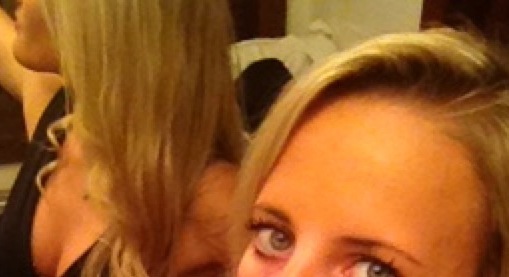 When desperation sets in and I look in the mirror and saw what was horrendous regrowth. Every time my hair gets to about seven weeks from blast off, the categorisation of ‘Frankston single mother’ reflects in me in the mirror. I had heard on the grapevine that there was a way you could dye your hair a ‘Semi Permanent Blonde’. 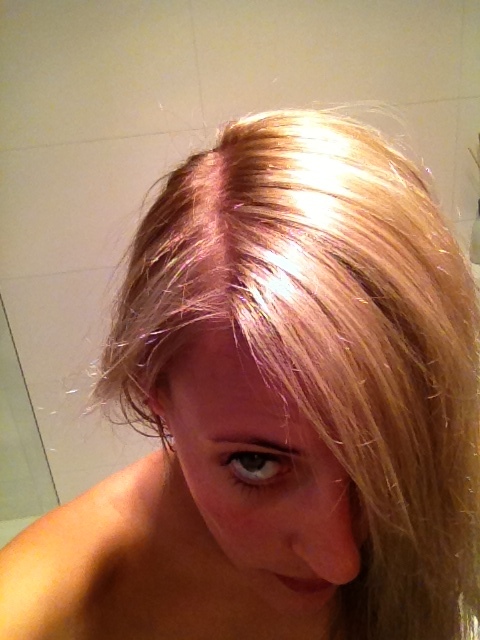 If you can use a colour and a bleach and do a Semi Permanent Brown, then you should be able to do the blonde version. Alike all hair dying practises, there is always the chance that things will go orange. Which would have been acceptable to high school version of myself, but not today. So in consultation with my friend Miss Colourist, I headed to the local hair supplies store. For those who know colours, I bought a 9.0 Ash Blonde. When I get foils I usually have a 9.3 Very Light Golden Blonde, which I love, but at risk of turning my whole head gold, Ash was the best option. Pairing it with the 10 Vol Peroxide, I headed home for the application. The plan was 10-15 minutes on my ends and then 10 minutes on my roots. Scared, I began the process of colour restoration. I followed my girlfriend’s instructions, but as the dulling of my ends came along I jumped quickly in the shower. The aim is to have it on there for just enough time so my hair changes past the gold to the blonde, but not too much that my ends dull down with the ash. Ta da! It worked! I’m back! My hair has completely transformed and it should buy me some more time before the colour. 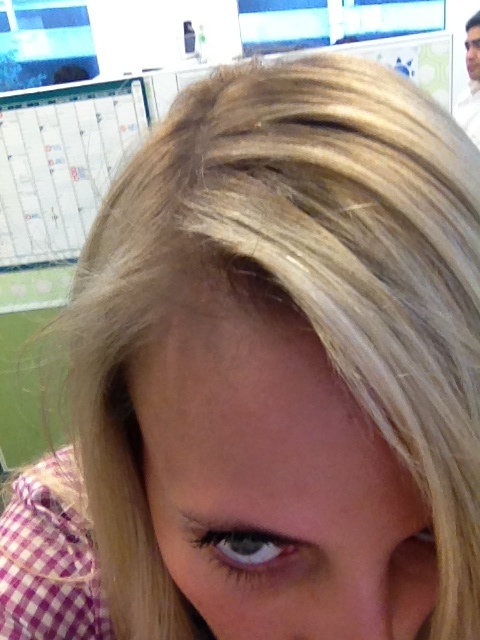 The only difference being that my hair is slightly darker now, and less yellow blonde and more ash blonde. As any Semi Permanent colour, it should wash out as the process fades. So unfortunately I’ll have to head back to the hairdressers in the next couple of weeks. Users beware: this might not work for you. More than likely you will end up with orange hair. It worked for me because my hair has no red pigmentation and I am fairly light on the roots. I would imagine if you already have a variety of colours in your hair, and you try to dye it, you could end up with green or orange hair. The point entirely was to share my secret. Categories: Beauty, Hair Care | Tags: ash, blonde, colourist, dye, hair, hairdresser, orange, purple shampoo, refresh, regrowth, save, semi permanent, tint, yellow | Permalink.